In classic pre-feminist days style, Phillips begins her career in a secretarial pool, this one at ABC-TV in New York in the late 1950s. Her competence, willingness to work long hours and, she admits, her good looks, get her a temporary gig as a production assistant on the ABC game show Who Do You Trust?, hosted by a not yet famous Johnny Carson. The pretty and hardworking Phillips is included in regular pre-showtime drinks at Sardi's. "The way that guy knocked back two double shots showed me he'd had a lot of practice," Phillips recalls of Carson. Carson appears only fleetingly in Phillips' narrative and he doesn't seem to have done anything bad to her, yet she pauses to take a swipe at him. Hostility runs through the whole of Phillips writing. This still contemptuous after all these years edginess gives Phillips' memoir a compelling vitality. Decades old events seem as if they happened yesterday. Leaving ABC, Phillips moves to the Music Corporation of America (MCA), the most powerful talent agency of the time, where she is assigned to type and file and get coffee for rising agents Freddie Fields and David Begelman. "Both were in their late thirties, both were sharp-witted, smart, flamboyant hotshots...They were both the most amusing men I'd ever met, and they liked that I liked them," Phillips writes. When Fields and Begelman (in the book, to simplify things, Phillips calls them F&D, short for Freddie and David) start their own agency, Phillips jumps at the chance to go with them as a kind of agent in training. F&D get their new company (which eventually becomes the powerful Creative Management Associates or CMA) off the ground by engineering a comeback for Judy Garland via an extensive concert tour. At this point -- 1960 -- Garland is seriously overweight and living in relative isolation in London. As soon as Garland lands back in the USA, Phillips is given the task of looking after this extremely high maintenance star. "Judy was needy to the point of desperation, and they [F&D] had to find a way to handle it," Phillips writes. Liza and Judy, 1960 (photo/Getty Images). Tending to Garland's needs both professionally and personally becomes Phillips' job for two years. And a demanding, depressing, and sometimes dangerous line of work it is. Phillips does everything for Garland from stage managing performances on her concert tour -- the highlight of which is a triumphal show at Carnegie Hall in 1961 -- to taking her children to the zoo. Phillips makes sure a cold bottle of liebfraumilch -- the sweet German wine that Garland swigs like water -- is always at hand and keeps a watchful eye on the precious carrying case full of the pills that Garland can't live without. Phillips laughs at Garland's usually mean-spirited jokes and listens over and over again to stories about the old days at MGM. When Garland decides to slit her wrists just before a performance, Phillips rushes out to find bangles needed to cover the bandages. When a drug crazed Garland comes at Phillips with a knife, Phillips manages to escape and is coaxed back to work by F&D with a promise of a salary increase. To Phillips, Garland is, more than anything -- more than a drunk or a drug addict or a raving lunatic or a legendary star -- a supremely self-involved bore. "I was a prisoner yearning to be free," Phillips says of her time with Garland. Occasionally, the tough talking Phillips exhibits some sympathy for the troubled star. "Put her in an institution. Get her the help she needs! That's the scream that was raging inside me. It never came out of my mouth. Could anyone have institutionalized Judy without her permission? Maybe not, but it didn't matter because there we no candidates. Everyone was too busy exploiting her," Phillips writes. Garland, despite her selfish excesses, isn't the villain in Phillips' book. That role goes to the D in F&D, David Begelman, who is portrayed as a scoundrel of the first order. "He was a slime," Phillips writes of Begelman, who later became a leading Hollywood film studio executive. At first, Phillips is captivated by Begelman's sophistication and his beautifully tailored suits. As the years pass, the dazzle fades. "He was toxic," Phillips says. "His was the charm of a psychopathic personality: totally flamboyant, witty, intelligent, and intellectual on the one side; a liar, a cheat, a complete fraud, irresponsible, and self-destructive on the other." David Begelman. "He was a slime," says Phillips. Phillips calls Garland's on again, off again husband Sid Luft an "ape" but in retrospect she thinks Luft was correct in believing that Begelman was stealing money from Garland. In the late 1970s, Begelman was ousted as head of Columbia Pictures while facing charges of embezzlement. In 1995, a bankrupt Begelman committed suicide. "I did not shed a tear," Phillips writes. The F in F&D, the handsome Freddie Fields, is a "sport-coated, charming smart aleck." Phillips praises Fields, who died in 2007, as a "wonderful mentor" and "one of the all time best agents on the planet." She also calls Fields a "user" and suggests that he must have known about the illegal and immoral activity Begelman was engaged in while they were business partners but chose to look the other way. When finally released from the Judy detail, Phillips is rewarded by F&D with the status of fully-fledged agent at the New York office of the thriving CMA. The first client Phillips signs is none other than Garland's daughter, Liza Minnelli, a "dirty and unkempt" teenager with tons of ambition but no proven talent. "Liza was a mess. Her waist length hair often looked as if it might have been home to both animate and inanimate things...My two bosses thought she was a waste of time," Phillips writes of the youthful Minnelli. Initially acting out of pity, Phillips helps Minnelli -- whom she refers to as "Li" -- get a part in an Off-Broadway revival of the musical Best Foot Forward. To the surprise of all, Minnelli shines in the production. Phillips capitalizes on this success by booking Minnelli as a guest on television variety and talk shows (abundant in the 1960s) and getting her on Broadway in the musical Flora. the Red Menace. Flora is a flop but earns Liza a Tony Award. Despite her burgeoning stardom, Minnelli remains something of a little girl lost. 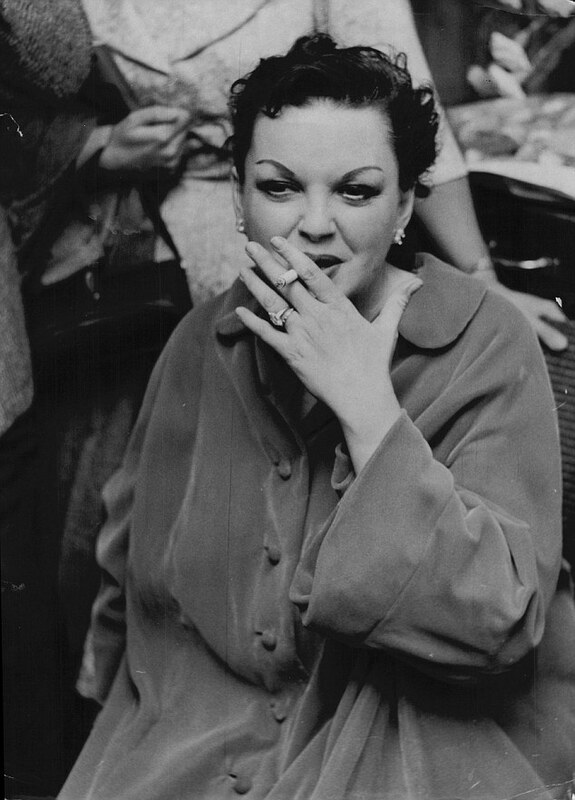 Phillips allows Minnelli -- homeless since her mother decamped to the West Coast -- to stay at her apartment. "She slept on the couch in my living room for the best part of a year. She co-opted my wardrobe, ate solid food from my fridge, and didn't have to struggle...not all celebs are freeloaders, but Judy and Liza were," Phillips says. 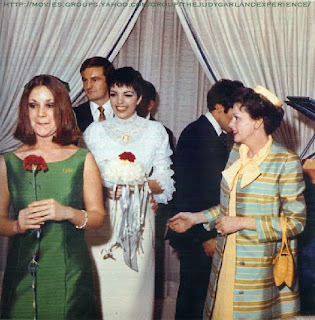 Phillips organizes Minnelli's 1967 wedding to singer-composer Peter Allen, mainly because nobody else is interested in doing it. "I watched and waited, but there was only shattering silence. I was heartbroken for Liza," Phillips writes. The wedding is the last time Phillips sees Garland, who dies two years later. "She was wrinkled and pale and so wasted that I momentarily lost the ability to speak...she was macabre," Phillips recalls. 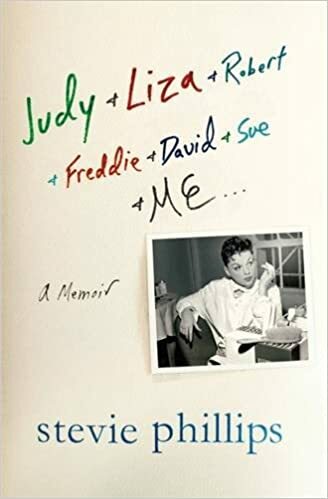 Phillips isn't directly responsible to the two projects that propel Minnelli to superstardom -- the television special Liza with a Z and the film version of Cabaret. "All I can boast about is that I brought Liza, along with her hard work and considerable talent, to a place where the sale of this show [Liza with a Z] could profitably be made," Phillips explains. Robert Redford, 1960s. Before the Sundance shagginess. The other big name on Phillips' roster is Robert Redford. He is already a hot property, if not a first rank star, when she gets him to sign with CMA in 1968 after helping him land the coveted part of Sundance in Butch Cassidy and the Sundance Kid, directed by another CMA client (and Phillips' friend) George Roy Hill. "When I delivered Redford's signature, my stock at the agency shot up sky high," Phillips writes. "Sign an actor who has both good looks and real ability, and you've a managed a minor miracle. That actor can go on for forty years easily." Or more than forty years. In the summer of 2015, at approximately the same time Phillips released her memoir, Redford, who is, along with Phillips, approaching age eighty, released his latest film, A Walk in the Woods. but the movie "wasn't good." 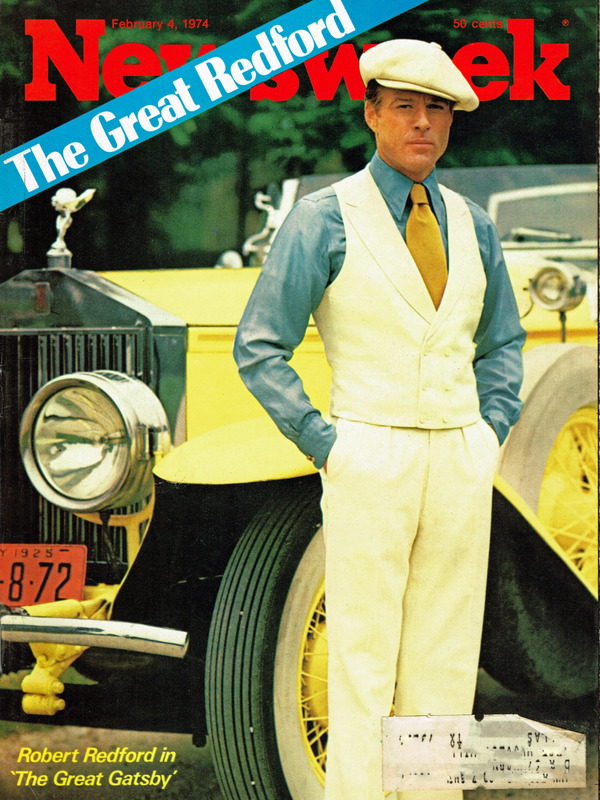 The self-assured Redford doesn't require Liza-style micro-managing. For the most part, he chooses the projects he wants to do. "He had a strong sense of what suited him -- playing interesting Americans from different walks of life -- and he chose well," Phillips writes. She does talk Redford into The Great Gatsby -- a film which she admits "wasn't good" -- and tries to talk him out of The Way We Were because the final script isn't finished. Though Phillips doesn't choose Redford's material, she does handle his business negotiations. "I did all his deals [which] helped burnish my image," Phillips writes. In 1975, Redford leaves Phillips and CMA for another agency. Phillips admits that his departure is mostly due to her failing to understand that he needed to be challenged. "I dropped the ball by not knowing he wanted to direct, by not pushing the envelope with him...I was on automatic pilot," Phillips writes in a rare display of humility. Indeed, Phillips speaks of Redford in an almost reverential tone. She thanks him for giving her "the American West as a present...he showed me the beauty of that part of our country for the first time. I owe him." Minnelli breaks with Phillips. too, but under more contentious circumstances. In the mid-1970s, F&D move on to become producers (according to Phillips, all agents want to be producers) and CMA merges with another agency to become International Creative Management (ICM). Phillips decides it's time to strike out on her own, taking star client Minnelli with her. But Minnelli, giving no warning or reason, backs out of the deal. This leaves Phillips, who has resigned from ICM, with no job and no star client be a foundation for her new agency. "I'd been unceremoniously dumped by an actress who could not have cared less." Phillips writes. The new agents send Minnelli, who Phillips depicts as something of a dimwitted party girl, out on concert tours that are lucrative but do nothing for her long term career. "They weren't film packagers trained by Freddie Fields; they were merely order takers," Phillips says. The pressures of touring leave Minnelli vulnerable to bad habits. "[I]t was rumored that most of Liza's earnings were going right up her nose," Phillips says. Minnelli's movie stardom, which Phillips had planned to carefully nurture, dies from neglect. In the ensuing decades, an increasingly pathetic Minnelli occasionally contacts Phillips, sometimes for career advice, sometimes just looking for a shoulder to cry on. "I had been the most stable person in her life. We both knew that," Phillips writes. Last, Booth Theater, Broadway, 2013. "Sue" of the book's title is Sue Mengers. For many years, Mengers was Phillips' colleague and friendly rival at CMA. "She was forever burnishing her image and trying to get her name in the papers. She was a publicity hound [but] it was the right decision for her, and it served her well," Phillips says of the flamboyant Mengers who died in 2011. Mengers stayed on at CMA after it became ICM and was a leading agent in the 1970s and 1980s. All agents want to be producers, Phillips says. Eventually Phillips becomes a producer, too, by working out a deal for Universal Pictures to back the Broadway musical The Best Little Whorehouse in Texas. The show, opening in 1978, is a smash. Following through with the deal Phillips helped to craft, Universal comes out with a screen version. The movie, released in 1982, is a dud. Phillips blames the failure of the movie on star Burt Reynolds. "He was tasteless," Phillips says of Reynolds "He made changes to the script and the casting that turned a funny and touching show into a sadly second-rate movie." Phillips is Al Pacino's agent for a time in the late 1960s. "I'd always found Al difficult to talk to, and consequently we never grew close," Phillips' writes. Her recollection of watching Pacino, not exactly a song and dance man, auditioning for a part in the Broadway musical Zorba is the book's comic highlight. A question that Phillips leaves unexplored is why some performers with potential don't become big stars. F&D's very first client back in 1960 was Freddie Fields' then-wife, the actress/singer Polly Bergen. Bergen, who died in 2014, had a long but haphazard career that included major roles on television, Broadway, and in films but nothing panned out sufficiently to take her to first rank stardom. Another early F&D client was the actress Joan Hackett. Hackett, who died of cancer in 1983 at age forty-nine, appeared regularly in films and on television in the 1960s and 1970s and is always interesting to watch if you happen to catch her in reruns. "Joan was an actress with [a] wonderful voice and a certain quirkiness that separated her from the rest of the blond beauties," Phillips writes but adds nothing more other than a mention that she and Hackett became "great pals" and that it was Hackett who first introduced her to Redford. One is left to wonder whether the machinations of superagents like Phillips and Freddie and David and Sue may not matter so much if good luck isn't part of the deal. Thanks for sharing here about most powerful talent agents in the entertainment industry. It is really a nice and informative one. This website is really awesome which provide us all-new updates of films, theater and television. Since I am educational experts and providing dissertation help services to UK students at Dissertation Help UK - http://www.dissertationhelp.uk/, I would like to share this post with my students who are interested in entertainment and love to read such kind of blogs. The realty quarter is an ever-evolving gambling field. One desires to stay on the top if they need to make investments that gain them. In the identical mild, this newsletter explores the 5 maximum not unusual mistakes buyers make in a supplier’s marketplace, and ways they could keep away from them and get an awesome deal well really worth their effort and investment. Searching for a house may be a daunting assignment, specifically within the summers. Visiting numerous houses and residences and not being capable of locate an area that fits your wishes takes its toll on the best people. This can result in human beings performing out of desperation and buying the very next house that they come across. Desperation has no area in a home-shopping for transaction. Informasinya sangat membantu, Ditunggu postingan berikutnya gan. There are many businesses that are formed to provide best services to people. For example some companies provide facility to buy dissertation online and some of the companies provide facility of complete writing help. This is something that you recently read but can't get enough of reading. Bulk QR Code Generator: Qryptal secure document generation solution helps your documents tamperproof and also amenable for automated processing with best bulk secure QR code. Deciding whether you should opt for the services of a bank or an Oregon credit union can be quite challenging, especially if this is your first time needing the help of a lender. The good news is that with just a little bit of research, you will manage to get all the answers you require so that you can make an informed decision. Truth being told, banks in Portland Oregon are not going to offer you the kind of assistance that you are expecting. In fact, they will prove to be quite disappointing. Let’s start with your local bank and the kind of help that they were able to offer you until now. Surely, you have noticed a pattern. At first, the consultants that you meet seem to be very polite. They ask what you need and then they convince you to opt for a complete package of financial services, even if you just needed a loan. They will make you pay for all kinds of insurance, open various types of accounts that come with all sorts of fees as well and so on. If you try to confront them, they are no longer polite and tell you that all was written in the contract that they rushed you to sign. No matter how you look at it, you are the one that has to pay the fees and get used to relying on services that might not meet all of your needs. What you need to understand is that they need to convince as many clients as possible to opt for certain financial services because they are motivated by the level of commission that they can earn at the end of each month. The problem with banks in Portland Oregon is that they operate as a business. They want you to pay as many fees as possible because it is convenient for them. This blog post really grabbed my attention. Emaar's New Year Promotion on 5 bedrooms & large family homes in Arabian Ranches Dubai. Enjoy 100% DLD waiver, 5 year service charge waiver, 7 year post handover payment plan. Palace Residences at Dubai Creek Harbour is a new off plan development. It is a 5 – star water residence nestled opposite the new Palace Hotel offering a wide range of excellent dining options and deluxe luxury services. Port de La Mer is a latest off- plan development located in Jumeirah. It is the first freehold community and is built around a world-class Marina offering a luxury collection of branded apartments and penthouses. Cherrywoods Villas & Townhouses by Meraas are located at Dubailand near Al Qudra road and offer 3- and 4-bedroom options with excellent facilities. Enjoy sports blend in with luxury lifestyle in Golf Grove Villas at Dubai Hills Estate by Emaar. Golf Grove offers 3 & 4 bedroom villas with golf course views. The stages of alcohol withdrawal begin as soon as 6 hours after you have stopped drinking. You might not be able to believe that it starts happening so fast, but it does. If you have never quit drinking before, you might not even know what signs of alcohol withdrawal to look for. In a world where everyone is online and has their eyes on the screen, digital marketing plays a huge role for businesses that want to improve brand awareness. Companies have a lot on their hands with daily operations, so they turn to a digital marketing agency and make them responsible for advertising solutions. Of course, web developers have a very important role as well, especially if businesses don’t have a well-developed website.